Baile Tusnad has a great and long history and it has become an independent settlement in 1935; it has been a great touristic attraction for both those wanting to relax and to those wanting to get cured of different affections ever since. Pension Flora has long been functioning as a pension and it was registered in November 2014; at that time it also got renovated and the rooms were given beautiful new furniture. 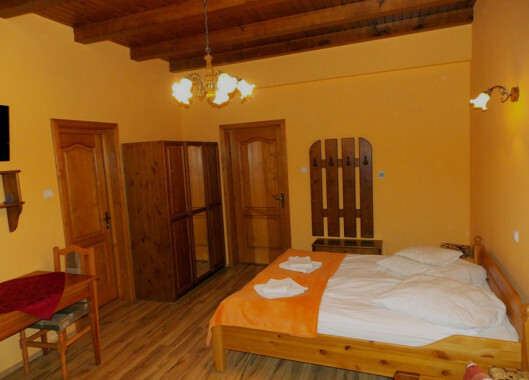 The Pension is situated behind the Parcul Elisabeta and since it is located in the city centre, every touristic sight is close and within reach: the train station at 400m distance, the Wellness Center at 200m distance and the ski slope at 1km distance. The Pension offers an amazing view of the Stînca Șoimilor. We offer accommodation for maximum 24 people.